HomeCatalogPain ManagementPACK COLD INSTANT HEAVY WEIGHT 6X10"
Accu-Therm Cold Packs: Cold Pack Activates Instantly And Offers Patients A New Level Of Comfort. 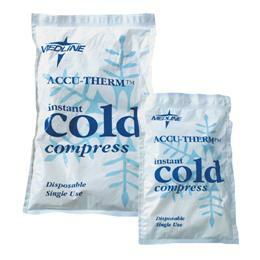 A Compress Holder Is Required Because These Cold Packs Should Not Be Applied Directly To The Skin. The Insulated Version Has A Foam Layer To Help Direct Cold Therapy To The Affected Area. 6" X 10", Heavyweight, Non-Insulated.